At a regular meeting of the Board of Commissioners of the Caddo Levee District held at 10:00 a.m., March 14, 2019, at 1320 Grimmett Drive, Shreveport, Louisiana, the following members were present: James T. Sims, Patrick Harrison, Carolyn C. Prator, Gary Procell, and Willie Walker. Kandi Moore and Helen Godfrey-Smith were not present. Ronald F. Lattier, Law Offices of Ronald F. Lattier; Marshall Jones, Jones & Odom LLP; Robert Tomasek, LA Department of Transportation and Development; Ali M. Mustapha, Administrator; Sam Brimer, Forester; Danielle Stafford, Assistant Secretary; and Rebecca Giglio, Administrative Assistant, were also present. President Sims asked for any comments from the public regarding agenda items or other issues. There were no public comments. Mr. Sims stated that the minutes from the February 2019 meeting had been emailed for review and asked for a motion to approve. Mr. Harrison made a motion, with a second by Mr. Walker, to approve the minutes from the February 2019 meeting. The motion unanimously passed. Mr. Harrison discussed the monthly financial reports, reporting that operating expenses were in line with monthly averages for this time of year. The Board reviewed payments and invoices for the month of February 2019 and subsequent bills for the month of January 2019. Mr. Harrison made a motion, with a second by Mr. Walker, to ratify payment of the invoices for the month of February 2019 and subsequent bills for the month of January 2019. The motion unanimously passed. The Board unanimously approved the renewal of surface lease for Ronald Bushong with a motion by Mrs. Prator and a second by Mr. Walker. The Board unanimously approved the transfer of surface lease from Ted Beavers to Rachel Brewster for approximately one acre on Black Bayou in Section 9, T22N, R15W in Caddo Parish, Louisiana with a motion by Mrs. Prator and a second by Mr. Procell. The Board unanimously approved the attendance of the Administrator and Commissioners at the Association of Levee Boards of Louisiana 34th Annual Workshop on May 2-3, 2019 at the Crowne Plaza Hotel in Baton Rouge, Louisiana with a motion by Mr. Procell and a second by Mrs. Prator. Marshall Jones reported that oil and gas prices have gone up slightly and are expected to hold steady for the foreseeable future. Mrs. Prator made a motion, with a second by Mr. Walker, to open a public hearing to discuss the operating budget of the Caddo Levee District for fiscal year 2019-2020. The motion unanimously passed. Mr. Harrison stated that the Executive Committee met on March 7, 2019 to discuss the budget and recommended it for approval. There were no comments from the public regarding the budget. Mrs. Prator made a motion, with a second by Mr. Walker, to close the public hearing. The motion unanimously passed. Section 1: The attached estimate of revenues for the fiscal year beginning July 1, 2019, and ending June 30, 2020 be and the same is hereby adopted to serve as an operating budget of revenues for the District, during same period. Section 2: The attached estimates of expenditures for the fiscal year beginning July 1, 2019 and ending June 30, 2020 be and the same is hereby adopted to serve as a budget of expenditures for the District during the said period. Section 3: The adoption of the operating budget of expenditures be and the same is hereby declared to operate as an appropriation of the amount therein set forth within the terms of the budget classification. Section 4: Amounts are available for expenditures only to the extent included within the 2019-2020 fiscal year budget. BE IT FURTHER RESOLVED that the Administrator is hereby authorized and in his sole discretion, to make transfers within the various budget classifications from one classification to another as he may deem necessary provided that any transfer of funds in excess of five percent (5%) of the classification must be approved in advance by action of the Board of Commissioners at a meeting duly noticed and convened. BE IT RESOLVED by the Board of Commissioners of the Caddo Levee District, in legal session convened, that it does hereby designate $23,076,767 for capital outlay and $6,000,000 for flood fight contingencies for the 2019-2020 fiscal year budget. Mr. Mustapha reported that on February 27, 2019, the mayors of Shreveport and Bossier City held a caucus for state legislators at the Caddo-Bossier Port to discuss the issues of transportation and flooding in Caddo and Bossier Parishes and Northwest Louisiana. He stated that he gave a presentation to the legislators to ensure that lawmakers are aware of the issues facing our area and the risk of further flooding. He also explained to the delegation the type of improvements implemented by the Caddo Levee District after the historic June 2015 and March 2016 floods to ensure that the Levee system is resilient for future floods. Mr. Mustapha reported that the Flood Technical Committee did not meet in February. He stated that at the Red River Valley Association meeting in Shreveport, Colonel Derosier, District Commander of the U.S. Army Corps of Engineers, indicated that the Study is progressing well and is on schedule. He stated that Colonel Derosier expects the hydraulic model to be completed by mid- to late-2019, and the sediment study by mid- to late-2020. Mr. Mustapha reported that due to flooding on Mississippi River and local wet weather conditions in the last 3-5 months, the Corps of Engineers has postponed the Annual Inspection of the Levee System. They will reschedule the inspections and send us notice of new inspection dates in the next 30-60 days. Mr. Mustapha reported on upcoming projects for the Levee District. He reported that the District hopes to finish surfacing the final eight miles of the Red River South Levee as well as rehabilitation of culverts at Shiftail Canal floodgates in 2019. He reported that Caddo Levee District will advertise for bids for these projects next month and bids will be opened at the May Board meeting. Mr. Mustapha also provided a written report that detailed the status and progress of all ongoing projects and the status of all open permits. Sam Brimer, Forester, reported that he is preparing several tracts to be bid out soon for timber sale in order to thin out the tracts. He also reported that there may be minimal damage to these tracts from the recent tornado/high wind storm in the Hosston and Vivian area. There was no Equipment Committee Report. With no further business to be brought before the Board, Mr. Harrison made a motion to adjourn, with a second by Mrs. Prator. The motion unanimously passed, and the meeting was adjourned. 4. Approval of minutes of regular meeting held on February 14, 2019. 6. Ratify payment of statements and invoices for the month of February 2019 and subsequent bills for the month of January 2019. 7. Consideration of renewal of surface leases for Ronald Bushong. 8. Approval of transfer of surface lease from Ted Beavers to Rachel Brewster for approximately one acre on Black Bayou in Section 9, T22N, R15W, Caddo Parish, Louisiana. 9. Approval of attendance of Administrator and Commissioners at the Association of Levee Boards of Louisiana 34th Annual Workshop of May 2-3, 2019 at the Crowne Plaza Hotel in Baton Rouge, Louisiana. 11. 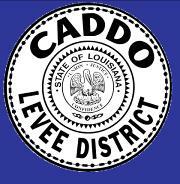 Opening of public hearing and request for comments from the public on the operating budget of Caddo Levee District for fiscal year 2019-2020. After comments from the public, close of public hearing. 12. Approval of budget for fiscal year 2019-2020. 13. Consideration of designation of funds for fiscal year 2019-2020. 16. Report of Ron Lattier, Board’s Legal Counsel. 22. Other Business to Bring before the Board.